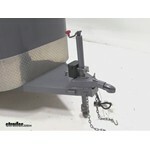 Call 800-298-8924 to order Tekonsha accessories and parts part number 420000 or order online at etrailer.com. Free expert support on all Tekonsha products. 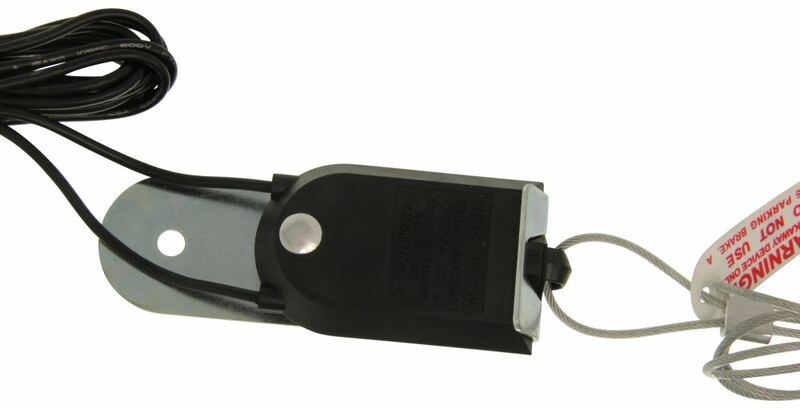 Guaranteed Lowest Price and Fastest Shipping for Replacement Tekonsha Trailer Breakaway Switch. Accessories and Parts reviews from real customers. Today, we're going to be taking a look at the Tekonsha Replacement Breakaway Switch. Now, a breakaway switch is designed to apply power to the trailer brakes, to stop the trailer should it become disconnected from the tow vehicle. If the trailer and vehicle disconnect, the vehicle pulls on this cable right here, which pulls the pin out of the switch. Once this happens, the trailer brakes are applied, which will bring the trailer to an eventual stop. The kit is going to come with the switch. It's going to come with the wiring. It's going to come with the pin. It's already installed there, and it's going to come with the cable. It's already attached. The wire leads on this side, these are going to measure 48 inches, or 4 feet long. One wire gets connected to power, the other wire gets connected to the electric trailer brakes. On this side, we're going to have the cable. 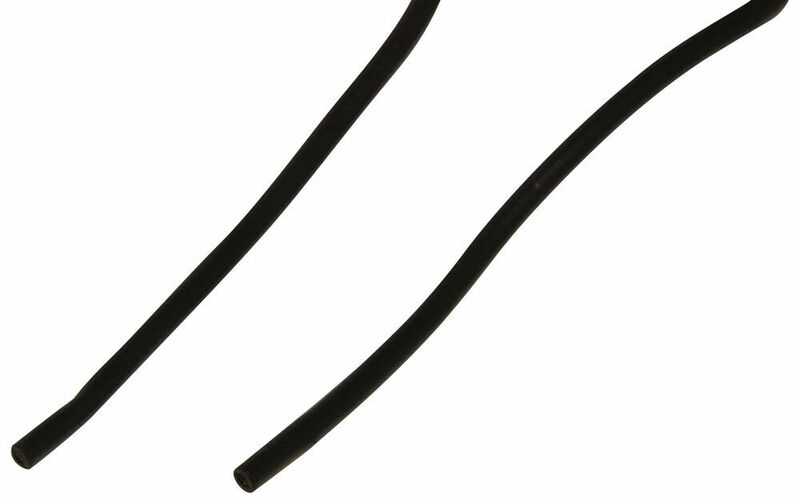 This is a high-strength, steel cable that's covered with a protective coating to keep it from fraying and to keep it from scratching anything that it comes into contact with. Now, this unit is designed for 1 to 4 axle trailer brake systems. The cable length is going to measure 48 inches or 4 feet long. It's got the looped end on here, that would connect to the tow vehicle. When it comes to the dimensions of the switch, it's really nice, low-profile design. This is going to give us an overall length measurement, and I am including the bracket. From edge to edge, we're looking at about 4 7/8 inch long, and that's measuring from the end of the bracket to the end of the pin. The switch body, that's going to give us a measurement of about 3 inches long. The overall width, you can see that the switch kind of hangs out over the side a little bit, so the overall width is right around 1 7/8 inch. Just that bracket width is going to be about 1 1/2 inch. Then, the height, or the thickness, it's only about 7/8 of an inch. It does have a mount hole right here. That's going to give us a diameter of 1/4 of an inch, and hardware is not included to get that mounted to the trailer frame. That's going to do it for today's look at the Tekonsha Replacement Breakaway Switch. No problems. Unit is holding up well and dont foresee any problems. While we do have numerous replacement break away system pins, all of which are similar, I cannot guarantee that any will fit your ESCO brand switch because they have not all been tested together. The difference in cost between a replacement pin and a new switch is minimal so I advise just replacing the switch with # HM20010. You likely can use any replacement switch since all they do is complete a circuit when the pin is pulled out. One wire on the switch should be connected to the positive battery terminal on the trailer. The other will tee into the wiring leading from the trailer connector to the brake magnets like in the diagram I have included. Just follow the wires on the old switch to where they are connected and remove them. I have also included a link to the right that should help. The easiest solution I can provide is to just replace the entire switch with the part # 420000 that you referenced. Trying to replace just the plunger can be challenging and since all of the switches are basically universal it's just easier to replace the whole thing. ESCO actually stands for Elkhart Supply Corporation, that is the brand of your breakaway switch. Most likely it is part number LBS48-16. 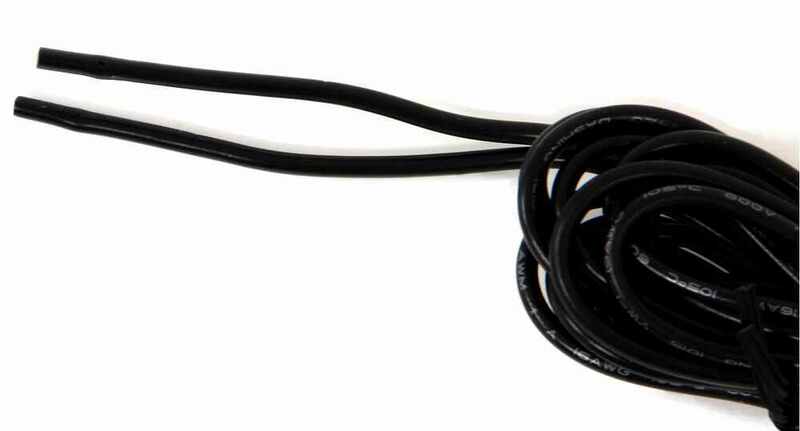 If you are looking for a replacement switch the Hopkins Replacement Break-Away Switch # HM20014 should work well for you. I attached a couple FAQ articles on breakaway switches for you to check out as well. I don't have a specific way to recommend wiring the part # 420000 to a dump trailer but essentially this switch wires into a circuit by just cutting the wire and splicing it between the two wire ends. Whenever the plug of the switch is inserted the circuit is dead and then when the pin is removed the circuit is active. I attached an install video for you to check out as well. I wish we carried that but we do not. One solution we can provide is to replace the entire switch with part # 420000. This will be the easiest solution and will work well as the switches are universal. 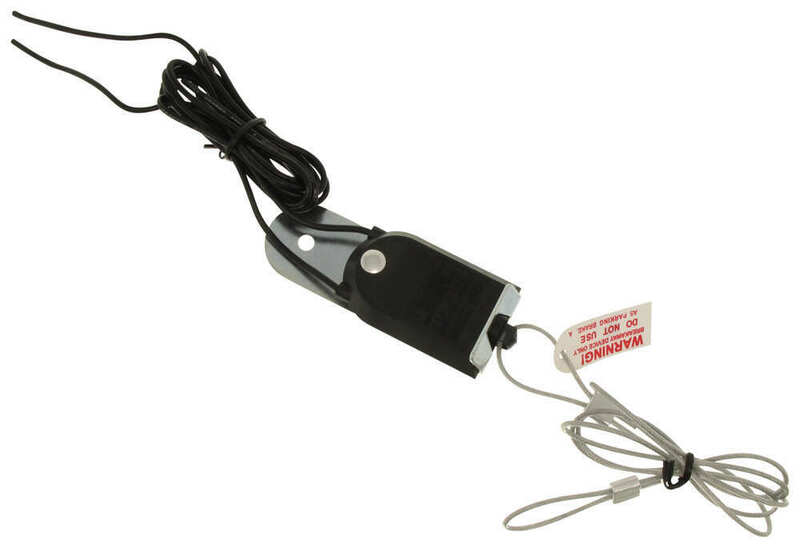 The Tekonsha Replacement Trailer Breakaway Switch # 420000 that you referenced should work fine as a replacement part for your trailer's breakaway system. As for the cause for a smoking/melting switch, my first thought is a malfunctioning breakaway battery charger. If this unit failed it might have taken out the switch with it. We offer the Tekonsha Battery Charger for Trailer Breakaway Systems # 1024, whose installation is shown in the linked diagram. Most likely the problem is not insufficient amperage if the fully charged breakaway battery won't apply the brakes. You can test this however by running a jumper wire from a car battery to see if the much higher amperage of that battery does the job. I would be very surprised if the problem wasn't the wiring. Electric stuff can be frustrating to diagnose, but if you go over all of the connections and compare the setup to the diagram I attached you should be able to find the problem. We do not carry the Kool-RV products so any of replacement pins are not a for sure fit because they have not been tested together. What I recommend is to go ahead and replace the the whole switch since it is not very expensive. You could use # 420000 that you have referenced or another switch like # HM20010. Yes, the pin can be pulled off and you can then replace the wire. Make sure that everything is disconnected so you do not accidentally set the breakaway kit off. For the most part, all breakaway situations work the same way. There are a few exceptions but they are not common. 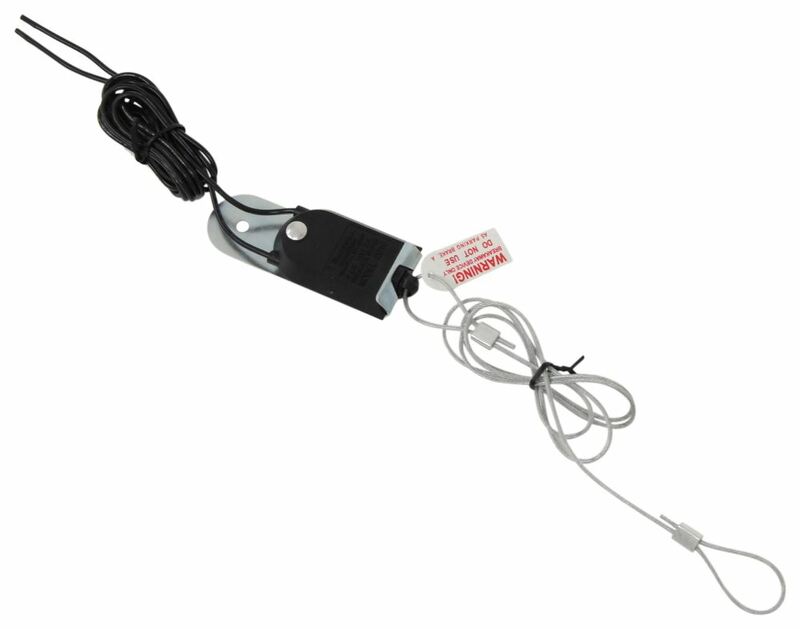 If your existing system used 2 wires like # 420000 then you can use it or any similar switch. I have included a link to all of the breakaway switches we carry.